A click of the camera and you have a memory forever. 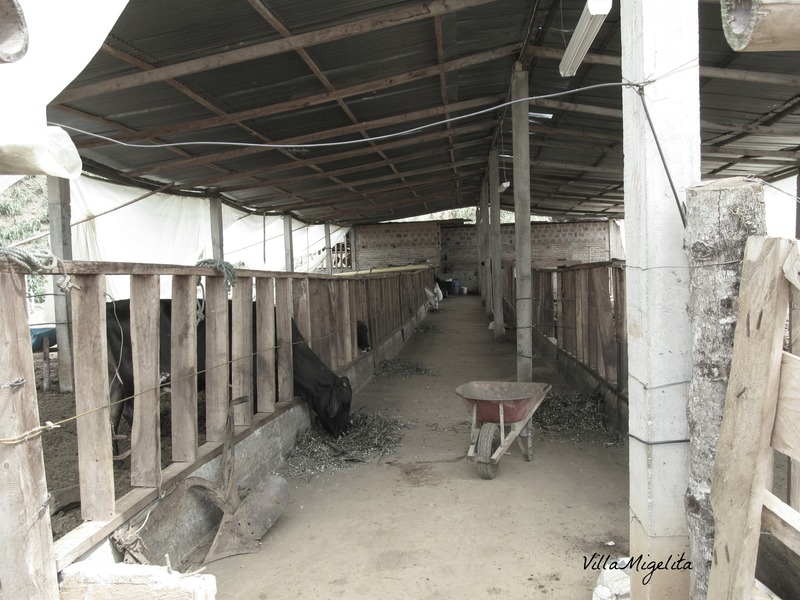 This photo shows the charm of a Colombian farm that is in the process of being constructed. A work in the making. I remember as I walked by the animals feeding that I loved every detail that my eyes were taking in. I loved the way I could pet the animals as I passed. The tiny details from the wheel barrel to the wires that hang down in the front. The plastic used for shade and rain cover. The length of the passageway captured. Everything about this photo encompasses a working farm in Colombia. This scene unfolds in a way that reaches deep inside me; the suppleness of the minutiae. Every time I look at this photograph I see something else that charms me, and how I was feeling at that exact moment, delighted.